Happy 2015! Welcome to the first Slice of Life post of the new year. Did you have a good holiday? We’ve been super busy…not working. And it’s been fabulous. Before I get into oversharing my life, I have a huge favor to ask. I’m conducting my first ever READER SURVEY! Would you consider answering a few questions for me? Click here to complete the reader survey. 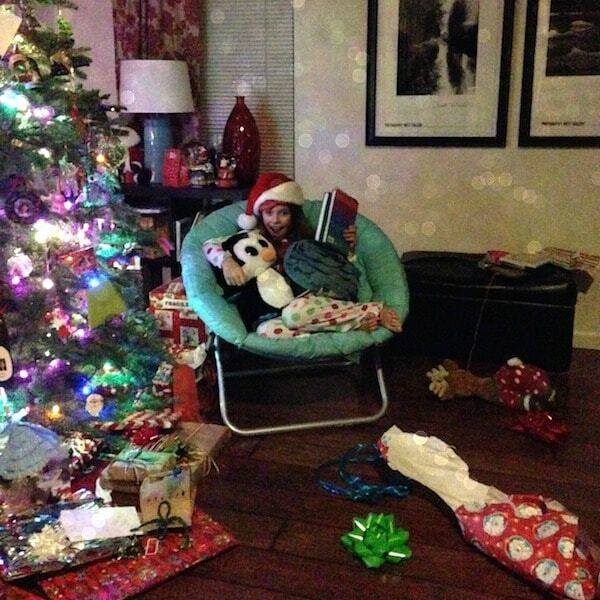 Jordan got more than she asked for from Santa, and was so happy about it! Santa was super nice to me too. He heard me begging for a pair of Tieks and he delivered! I want to preface this with the statement that I do not work for or with Tieks (although I’d love to…hello over there!!) I wanted to try them for the longest time because I have tried every single flat and have never liked any of them. They hurt my feet, make me sweat, I walk out of them, etc. I’ve NEVER found a pair I like except an old ugly pair of fake Toms. 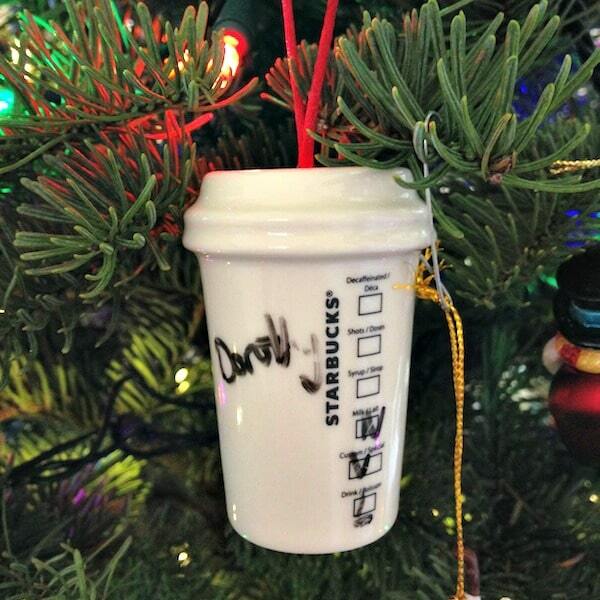 Jordan got me this Starbucks ornament. I promptly ordered a drink. Every year after the holiday we go to San Francisco for a few nights. Usually we drop Jordan off at my mom and dad’s and go to the city for some alone time. This year we took Jordan to see Elf: The Musical and we stayed in a high rise hotel (her first). We also took her to see Neiman Marcus. The look on her face when she saw how much a real pair of Christian Louboutin shoes cost was priceless. 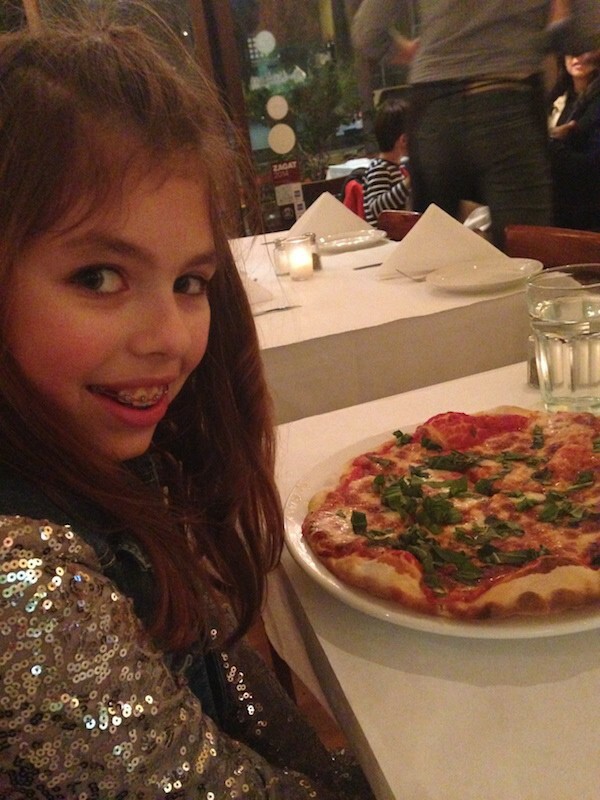 We went to dinner at our favorite San Francisco restaurant, Pazzia. Mel and I discovered it last year (exactly one year before, in fact). Jordan loved their pizza. If you happen to be in or visiting San Francisco, you must go. It’s in SOMA, on 3rd. It’s a tiny little Italian place that’s family run and it’s some of the best Italian food I’ve ever had. 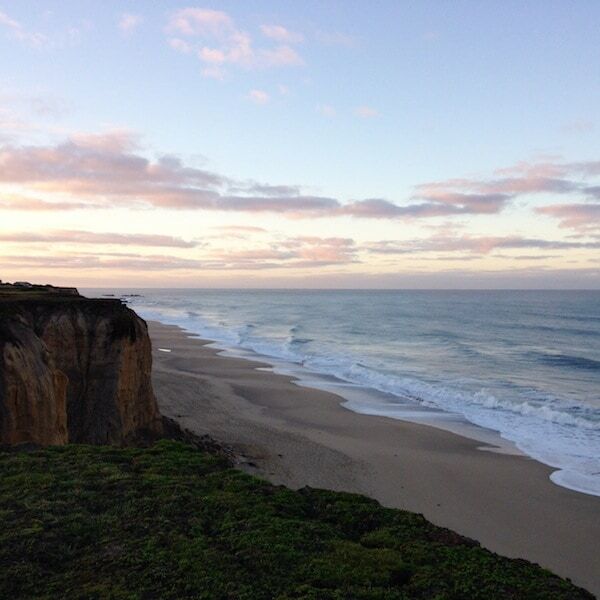 Then we did drop Jordan off at grandma’s…and we went to Half Moon Bay. Have you ever been? 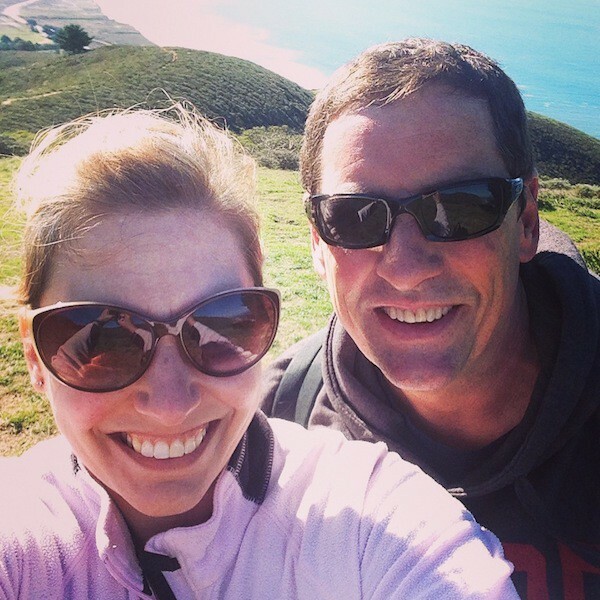 My husband lived there before we met, and we used to go hiking there every weekend when we were first married. 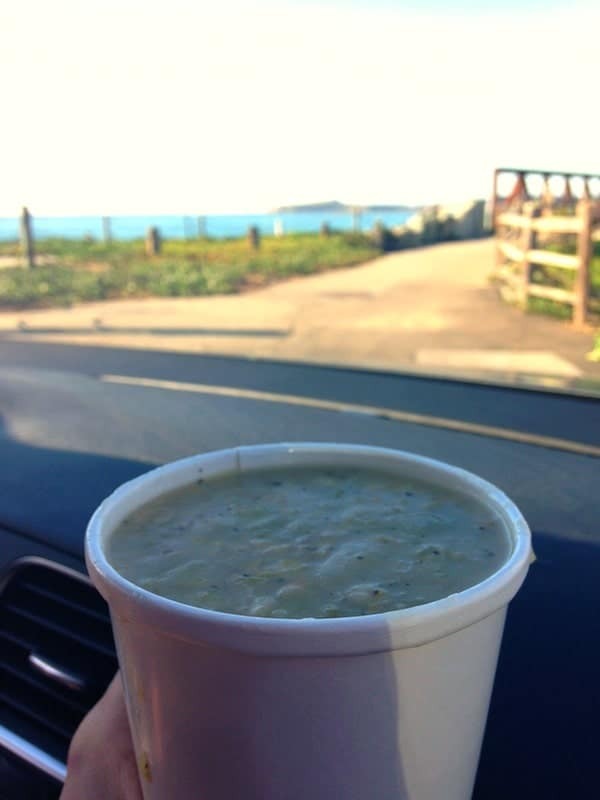 If you ever visit Half Moon Bay there are two restaurants you must try. First, the take-out counter at Barbara’s Fish Trap. The chowder is amazing. Not pictured: the fried shrimp and chips we scarfed after hiking 3.5 miles. The second place? 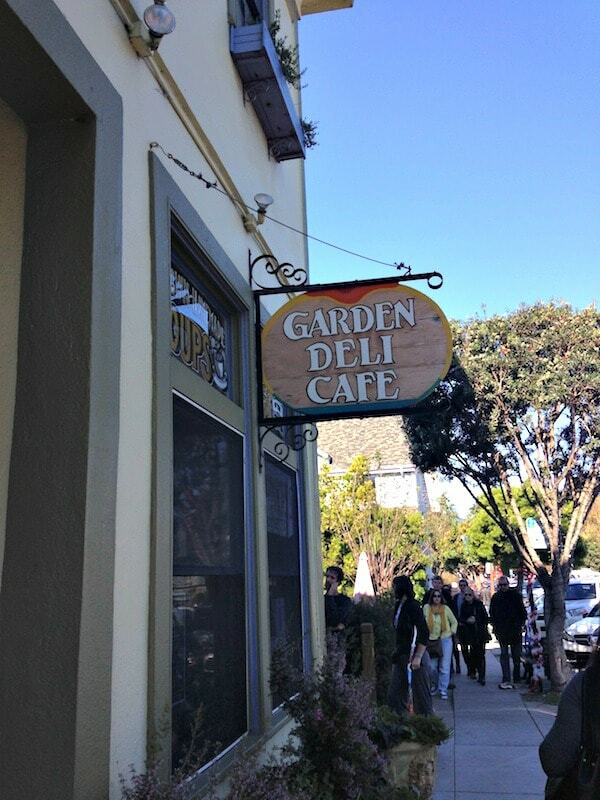 The Garden Deli Cafe at the San Benito House. We didn’t eat there this trip, but we normally do. They bake their bread fresh (it’s the best I’ve ever had) and they make huge sandwiches. The line is always out the door, but it’s worth the wait. Okay, I lied. Three places. 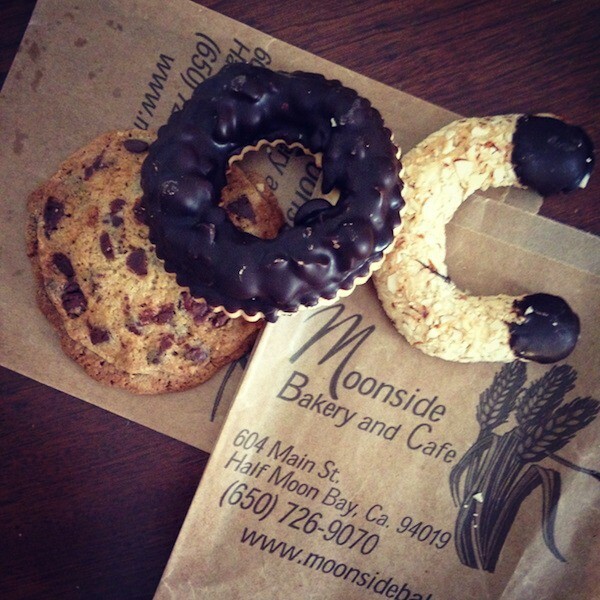 Moonside Bakery is always our last stop, where I shell out the contents of my wallet for one of everything. That middle one is a shortbread cookie covered in Nutella and hazelnuts and chocolate. The Half Moon Bay Lodge is a nice (affordable) hotel just a few minutes from down town. The rooms are big, it’s quiet, and they have golf course views. 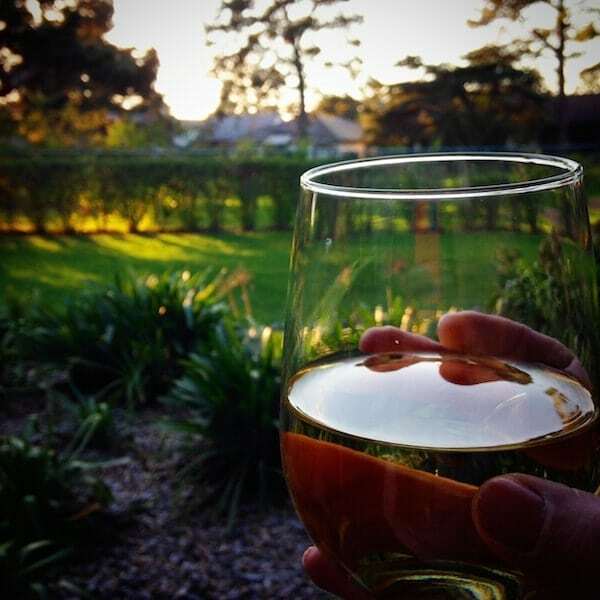 Perfect for drinking wine. Half Moon Bay is one of my favorite places. This was the morning view on our walk along the water. 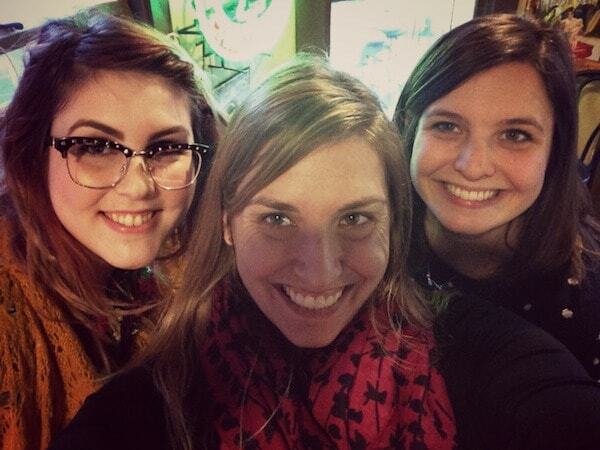 Then, when we got home, the best day ever happened: Ashton was in town. You know Ashton? My BFF from Something Swanky? The gal who was my first blog friend? I love her guts. She was visiting family and carved out a whole day for me. One day wasn’t enough!! The Shell Collector by Hugh Howey. Quick read, a little confusing since there’s not much backstory, but it’s a good read. Kind of a chick flick but with some guy flair. The Atlantis Gene Trilogy by A.G. Riddle. I didn’t know what to expect. It sounded cool, and since I’m a Kindle Unlimited member, I figured I’d try it. I was pleasantly surprised how much I liked the trilogy (and how much I was drawn into it – I couldn’t put it down!) I don’t normally like science fiction type stories, but this was really good. Second Hand Heart by Catherine Ryan Hyde. She never disappoints. She’s kind of like Jodi Piccoult in that way – heart gripping novels that you can’t put down. She hasn’t disappointed me so far! And last, before I let you go enjoy this first Saturday of the year, I want to talk about 2015 recipes. More breakfast? More healthier recipes? A savory here and there? More pie? Tell me what you want! I need to sort through all the answers! Thanks Amy!